Welcome the SJCA Food & Nutrition Services page. Use the navigation menu on the right to access more content. Menus are updated each month. There has been an increase in school breakfast and lunch prices for the 2017 - 2018 school year to comply with a California Food Services State Audit that will not allow schools to charge less than the minimum federal rate. Reduced Breakfast and Lunch prices for qualifying families is $0.25 per meal. 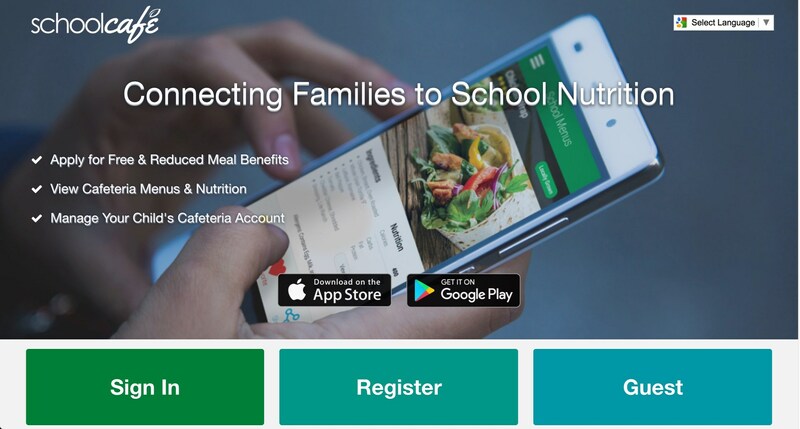 SJCA families can monitor student lunch accounts through School Cafe. Click HERE to access the School Cafe website. Having trouble connecting your account to San Jose Charter Academy? If your account is linked to West Covina School District, you can change it to CA - SAN JOSE CHARTER ACADEMY by updating your profile. 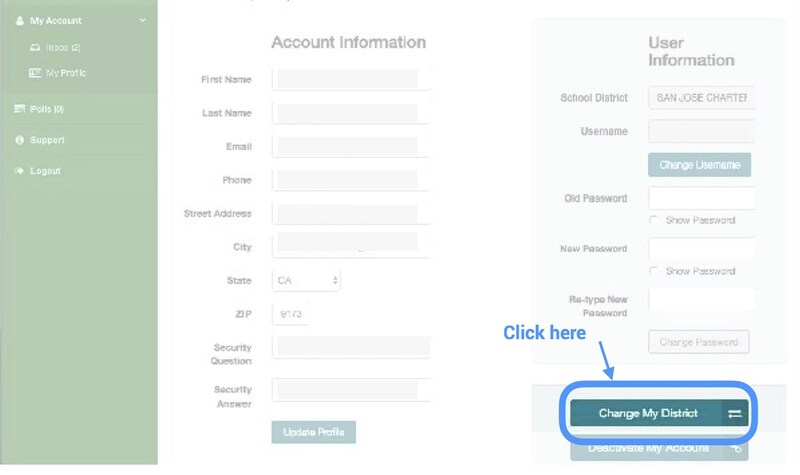 On the account information page, click on the Change My District button (see image below). After approving the change to the new district, enter CA - SAN JOSE CHARTER ACADEMY to find our school. Once you have accepted the change, make sure to update all of the notification settings and alerts. To apply for Free and Reduced Lunch online, use the SchoolCafe account management page HERE. Existing accounts can sign in and apply. If you do not have an account, you can register for one by clicking on the Register button. For a paper application, visit the school office between the hours of 7:00 AM - 4:00 PM.